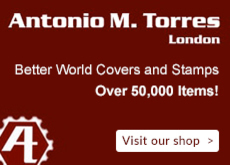 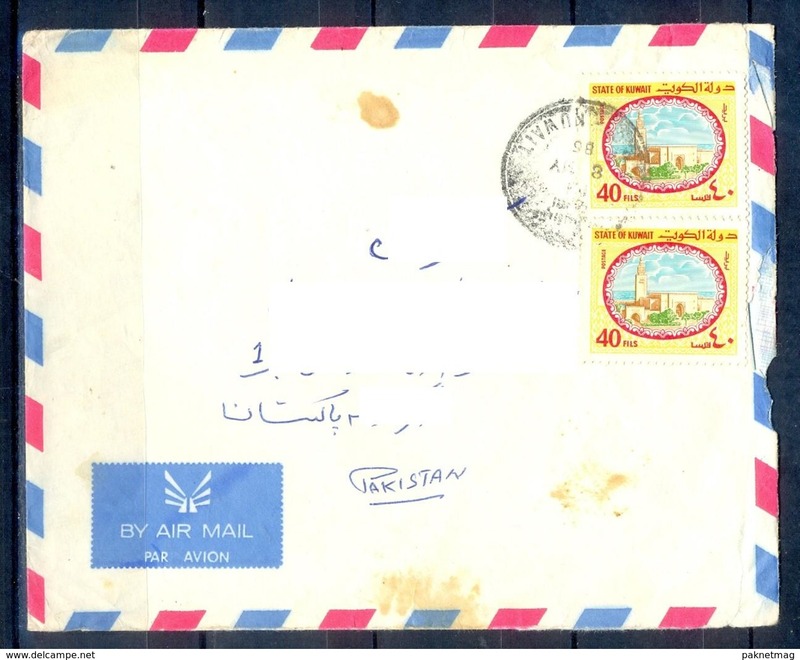 X157- Postal Used Cover. 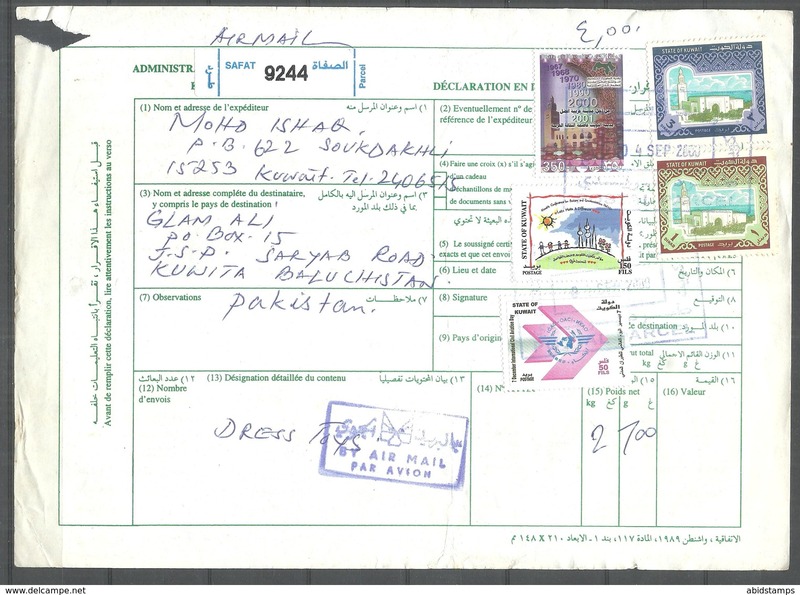 Posted from Kuwait to Pakistan.Mosque. 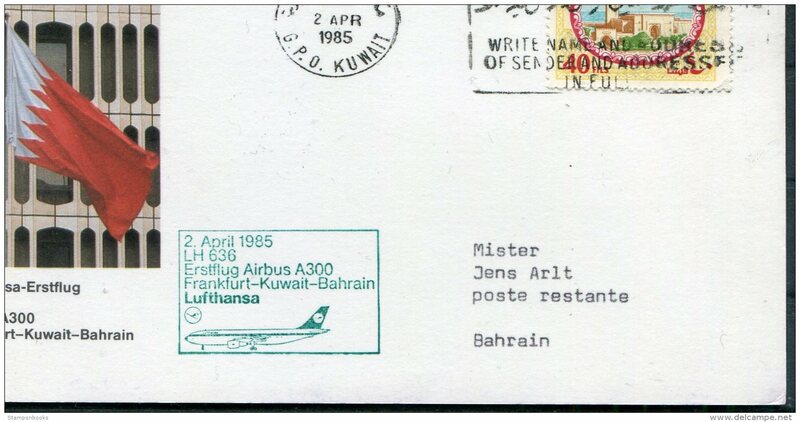 1985 Kuwait Bahrain Lufthansa First Flight card. 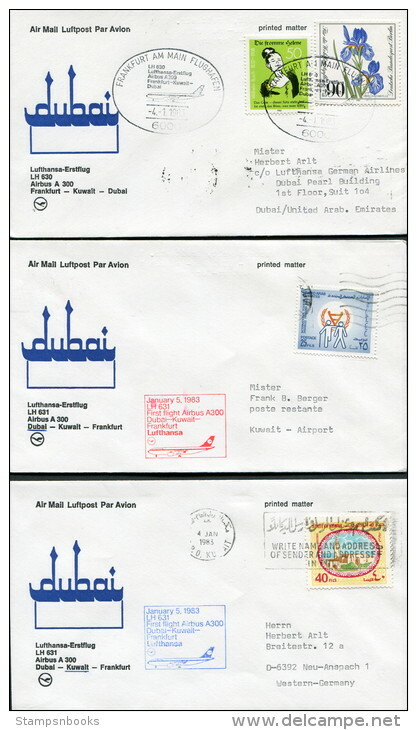 1985 Kuwait Muscat Lufthansa First Flight card. 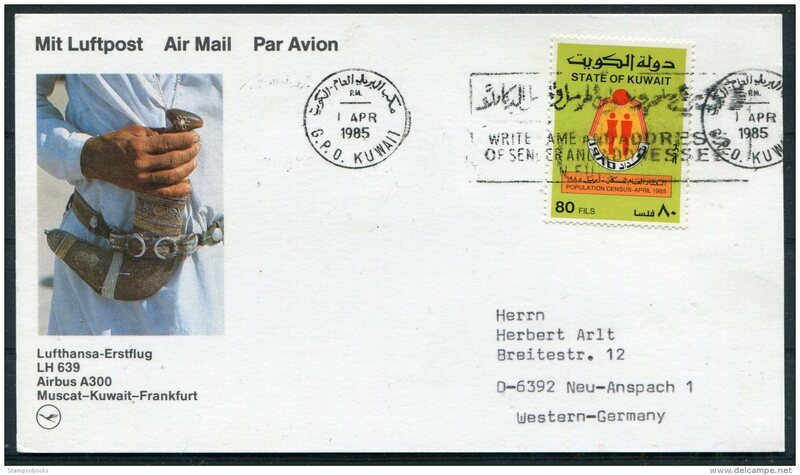 1985 Kuwait Germany Lufthansa First Flight card - Frankfurt. 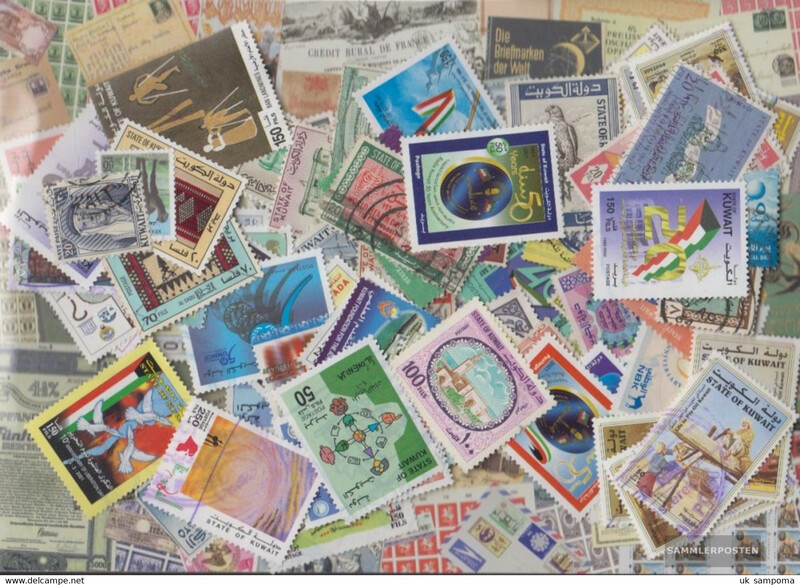 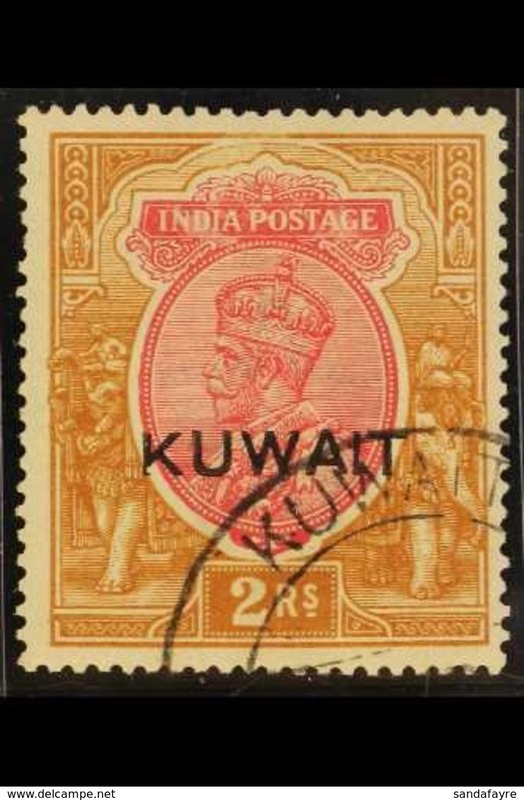 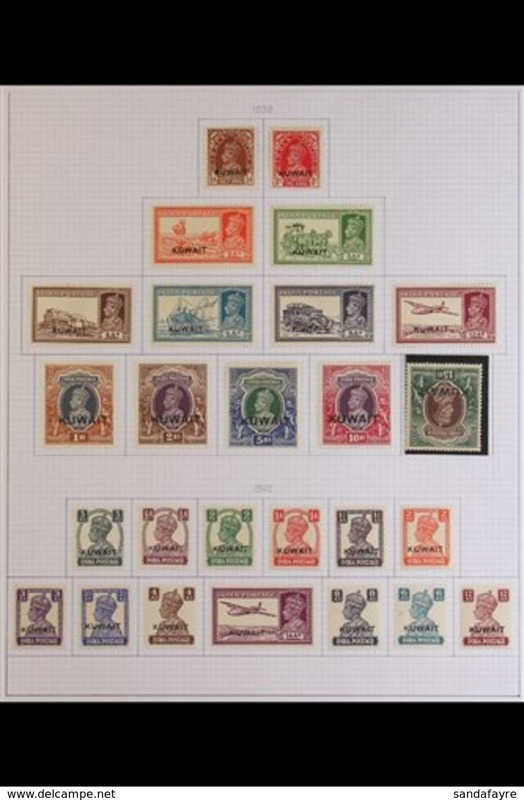 S083: KUWAIT used stamps. 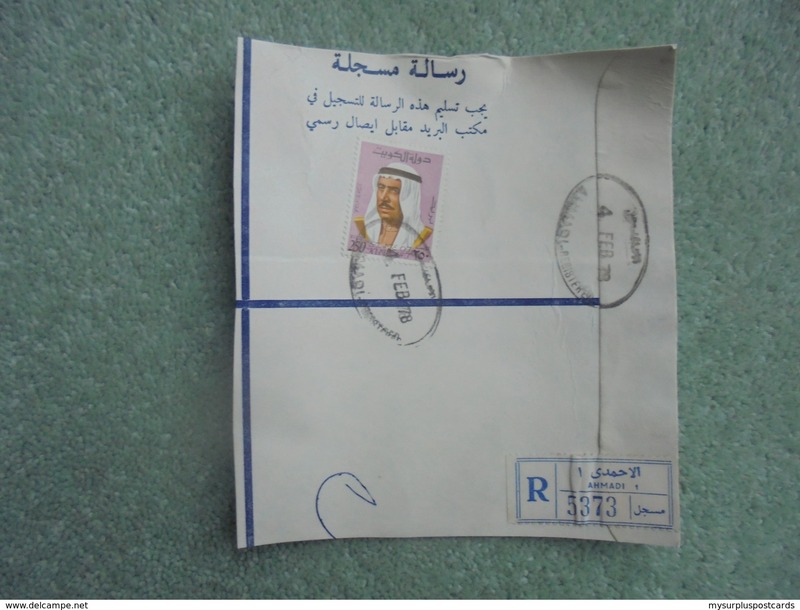 100 Fils & 80 Fils. 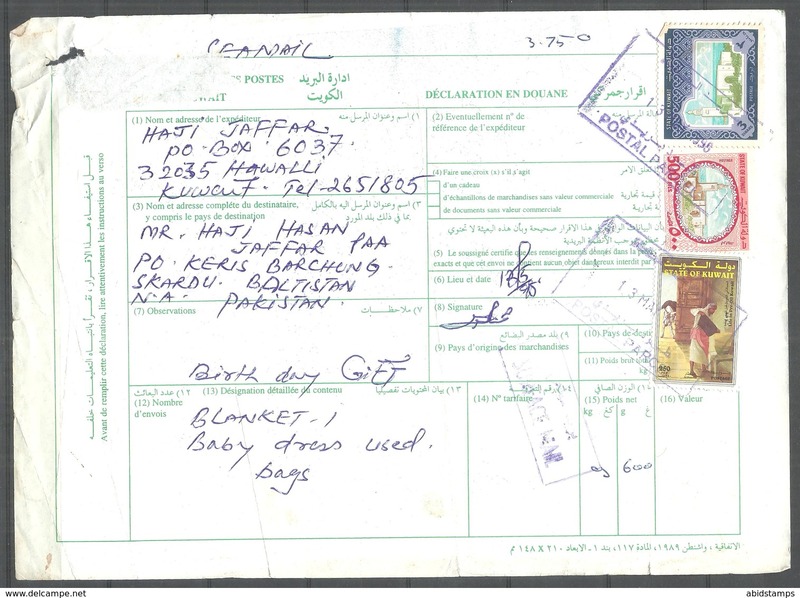 Postmark AHMADI 5 DEC 77. 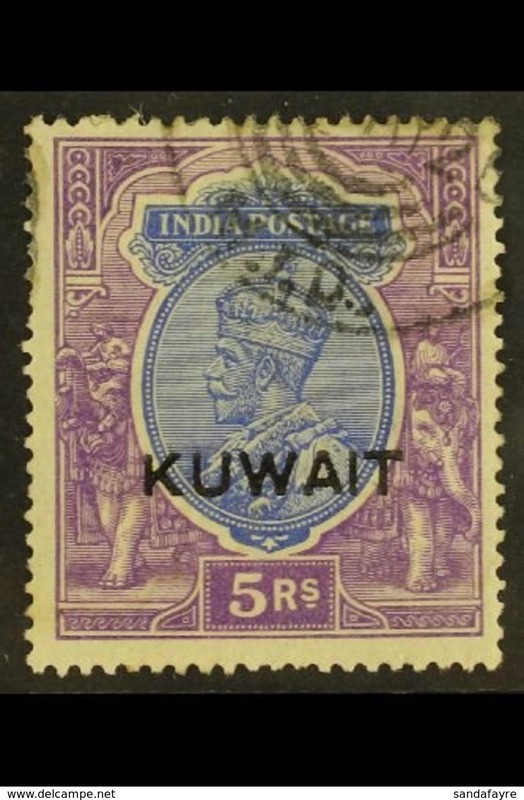 S079: STATE OF KUWAIT - Used stamp 250 FILS. 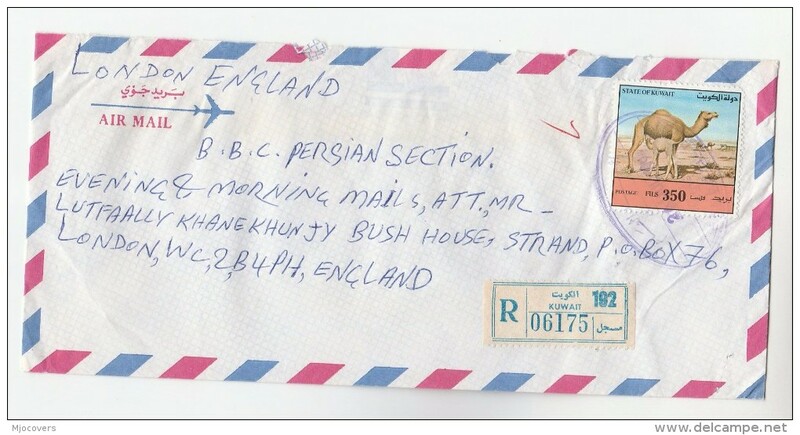 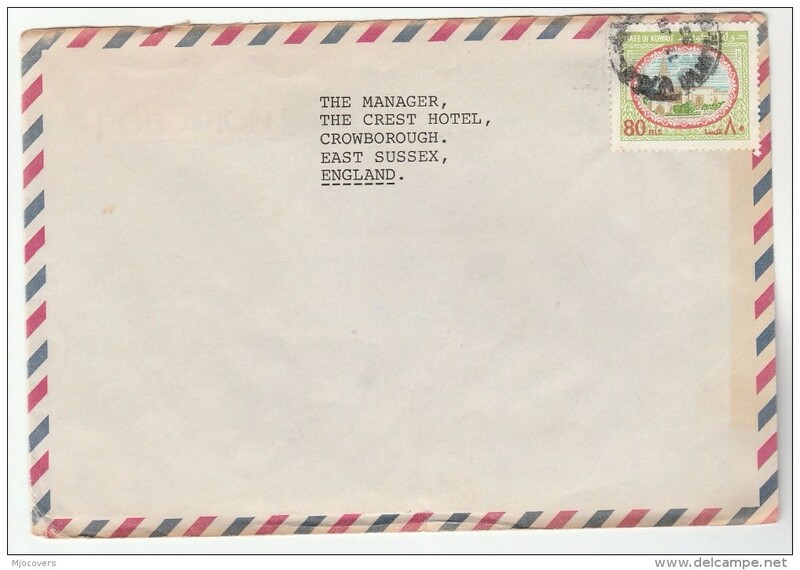 Postmark 4 FEB 78. 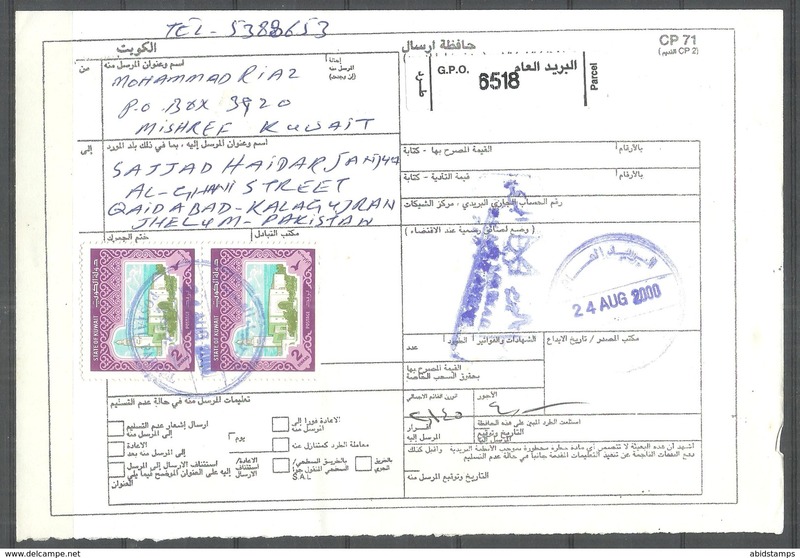 Almadi Registered. 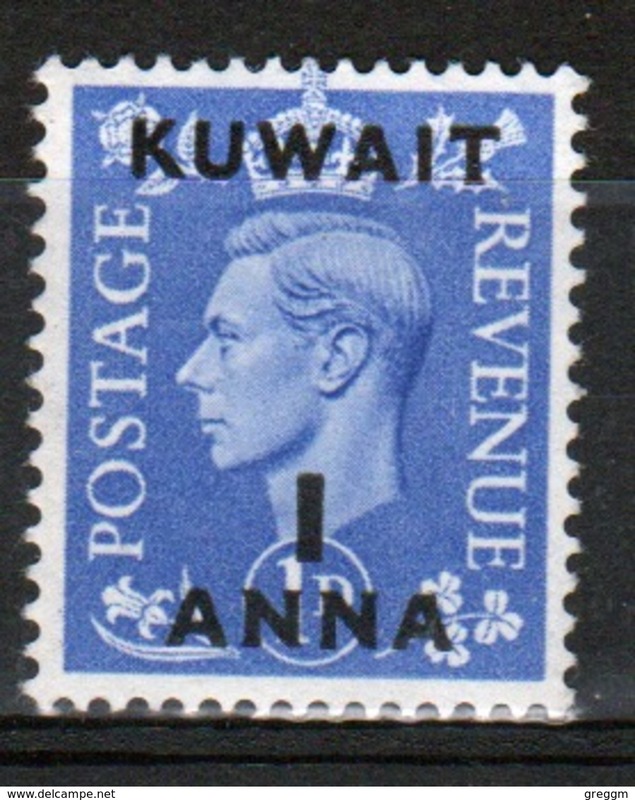 Kuwait 1950 George VI single 2 Anna stamp overprinted on GB stamp. 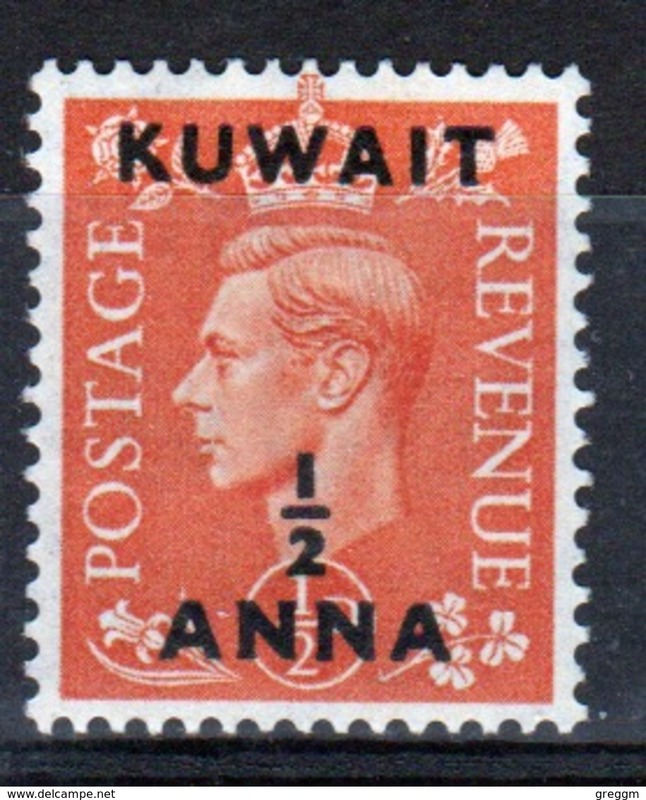 Kuwait 1950 George VI single 1 Anna stamp overprinted on GB stamp. 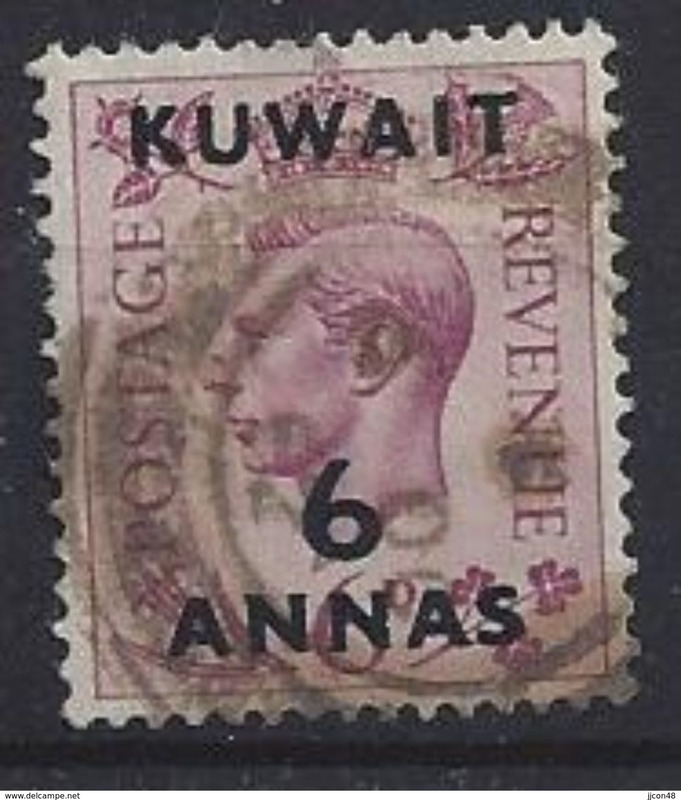 Kuwait 1950 George VI single ½ Anna stamp overprinted on GB stamp. 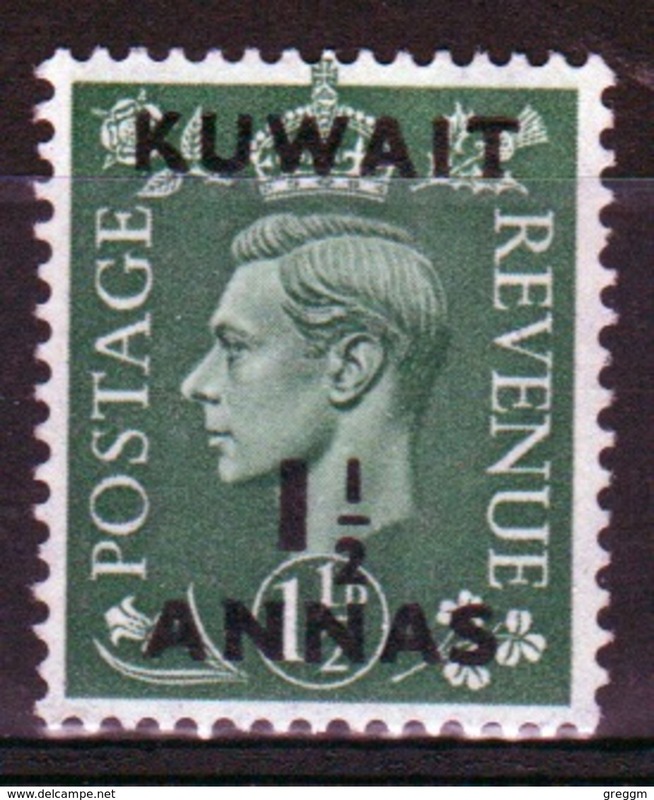 Kuwait 1950 George VI single 1½ Anna stamp overprinted on GB stamp. 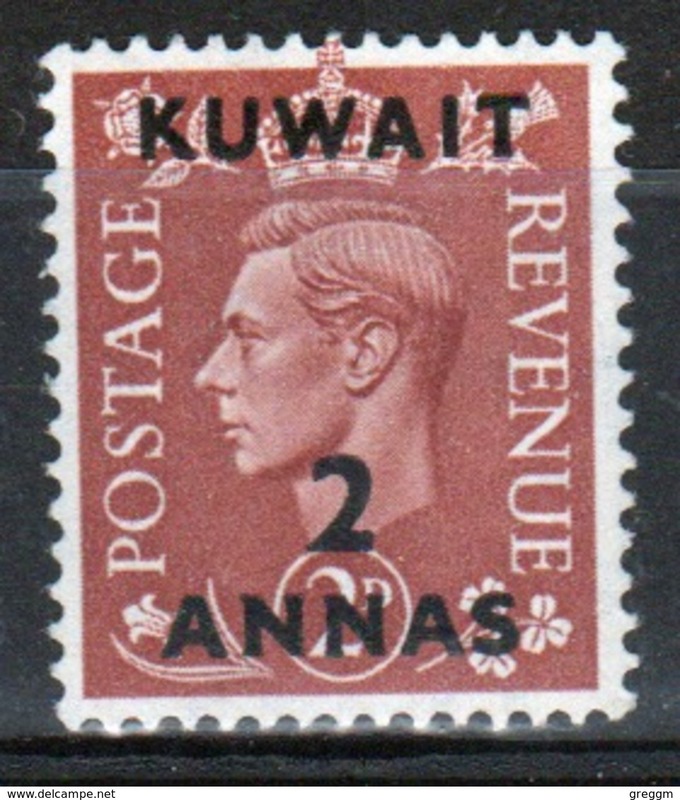 Kuwait 1950 George VI single 2½ Anna stamp overprinted on GB stamp. 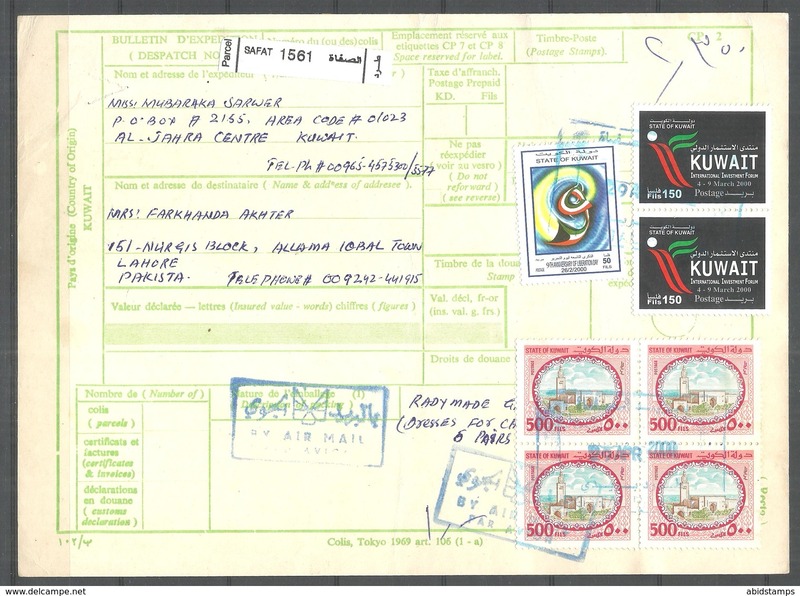 Kuwait 1984 Al-Arabi unmounted mint. 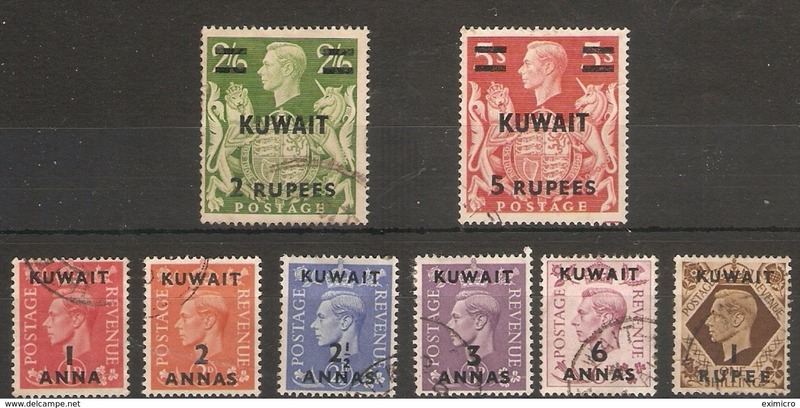 Kuwait 1964 National Day unmounted mint. 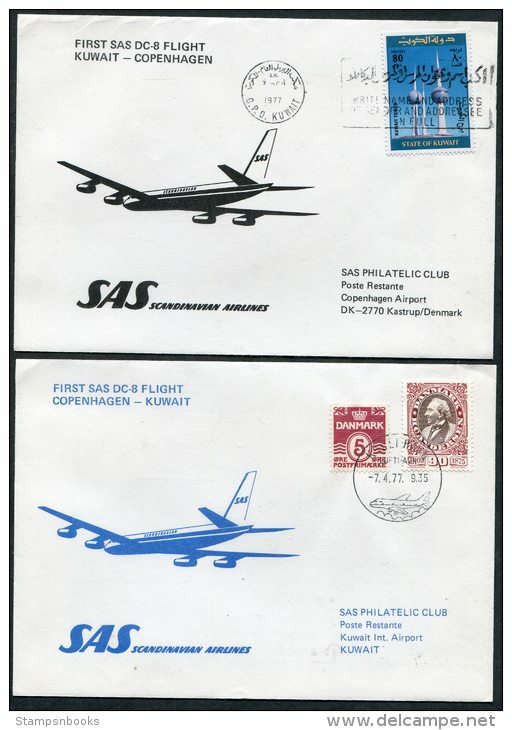 Kuwait 1984 ICAO unmounted mint. 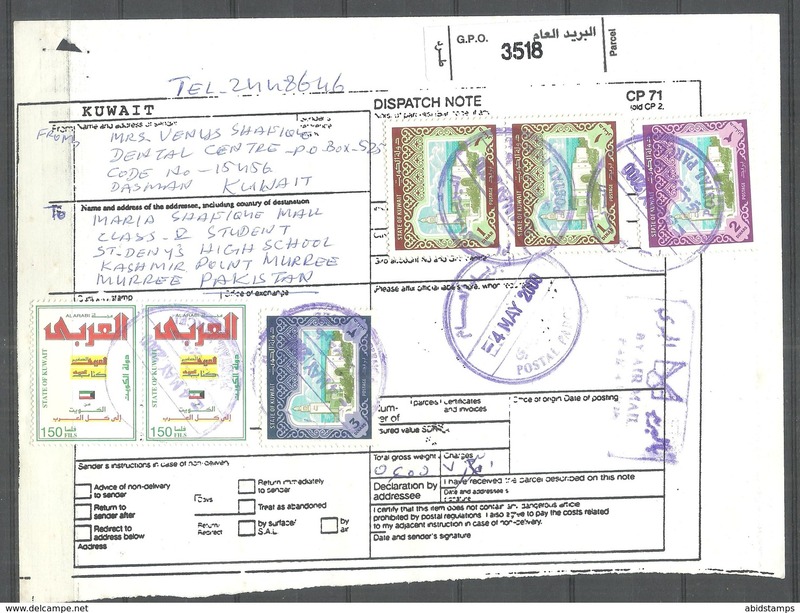 Kuwait 1992 Literacy Year unmounted mint. 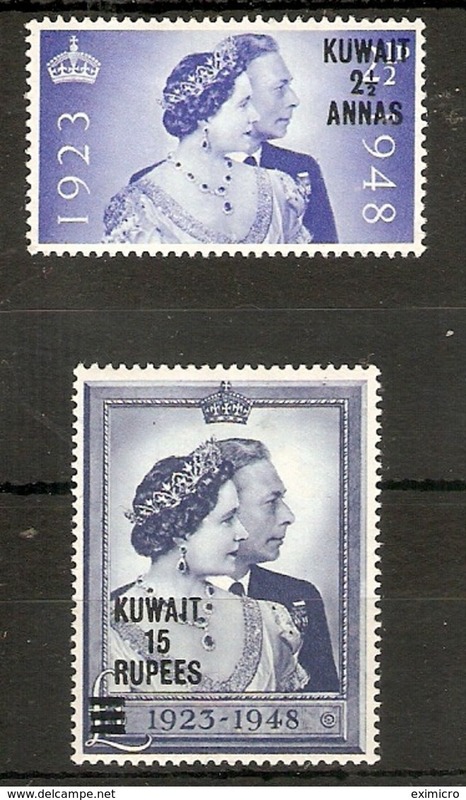 Kuwait 1995 Liberation Anniversay unmounted mint. 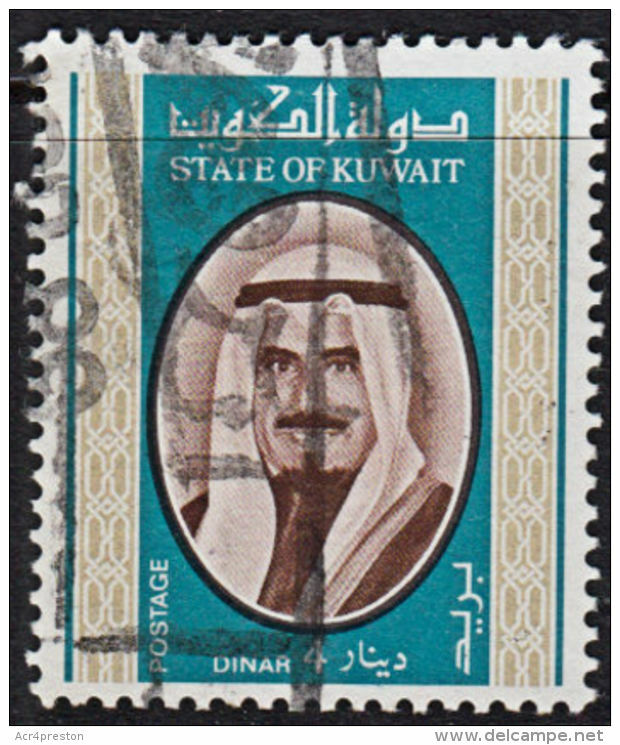 Kuwait 1986 Gulf Bank unmounted mint. 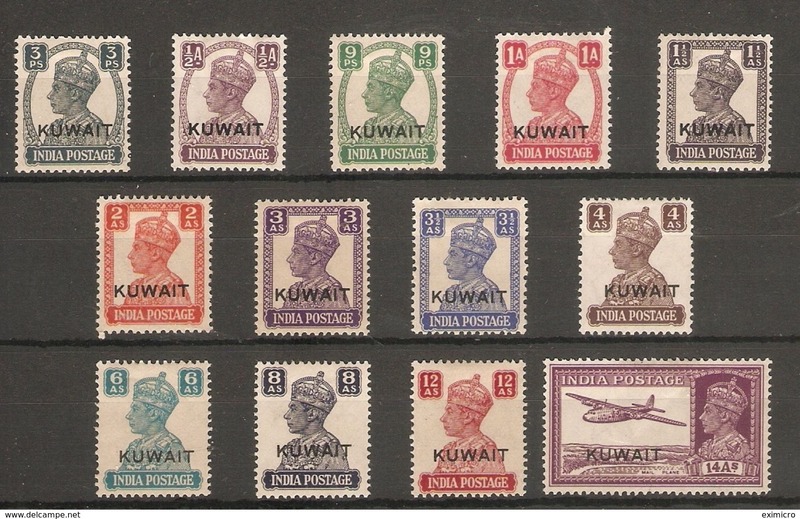 Kuwait 1976 Kuwait Medical Association unmounted mint. 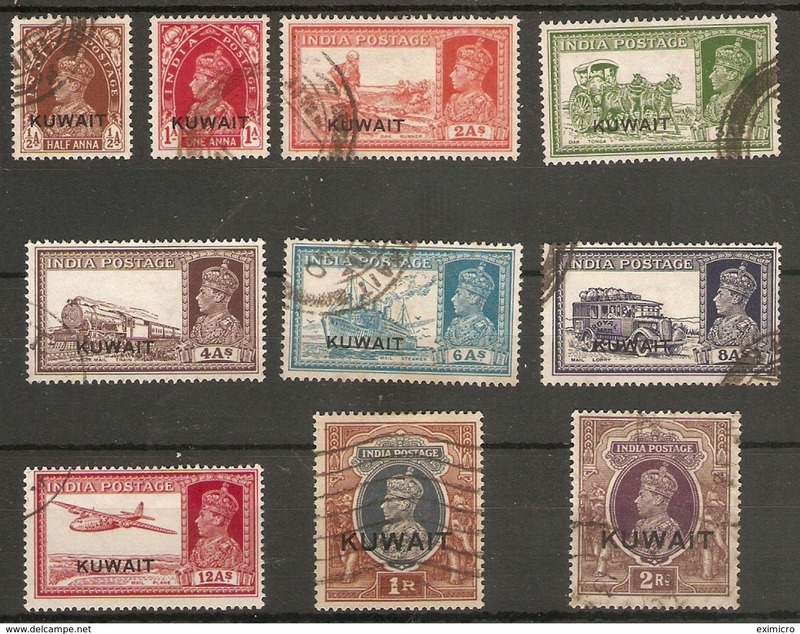 Kuwait 1963 Tuberculosis unmounted mint. 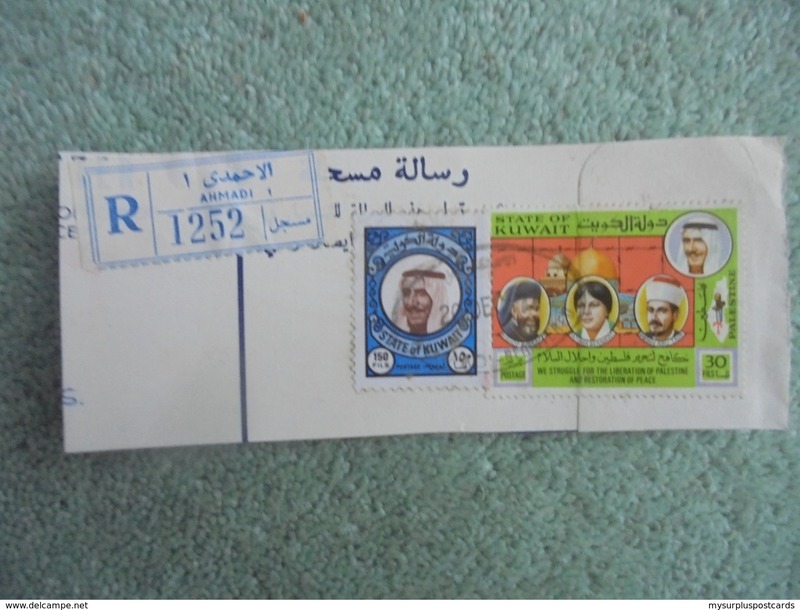 Kuwait 1974 3rd Arabian Gulf Trophy Football Tournament unmounted mint. 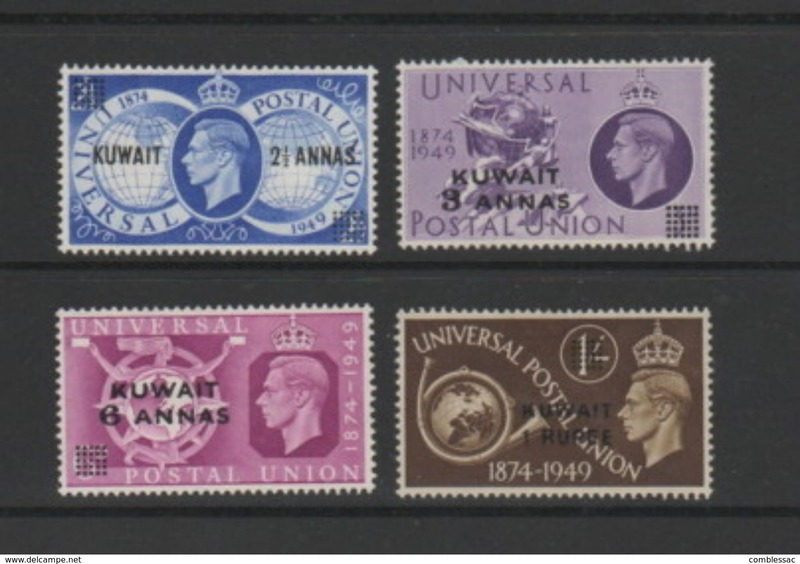 Kuwait 1973 50th Anniv of International Criminal Police Organization (Interpol) unmounted mint. 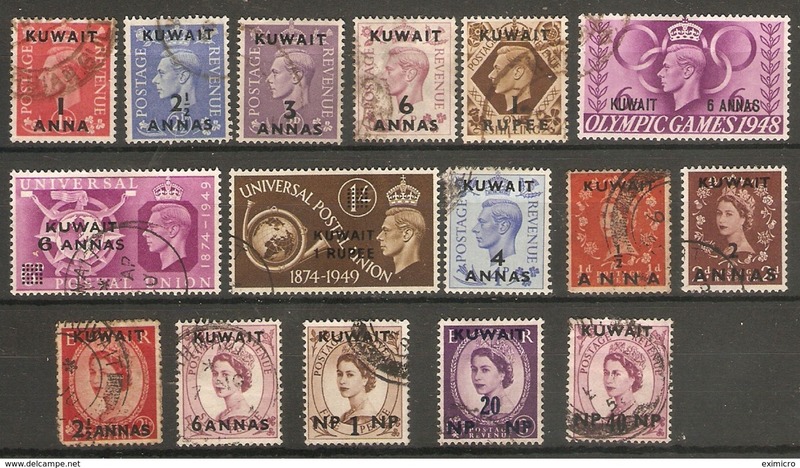 Kuwait 1973 12th Anniv of National Day unmounted mint. 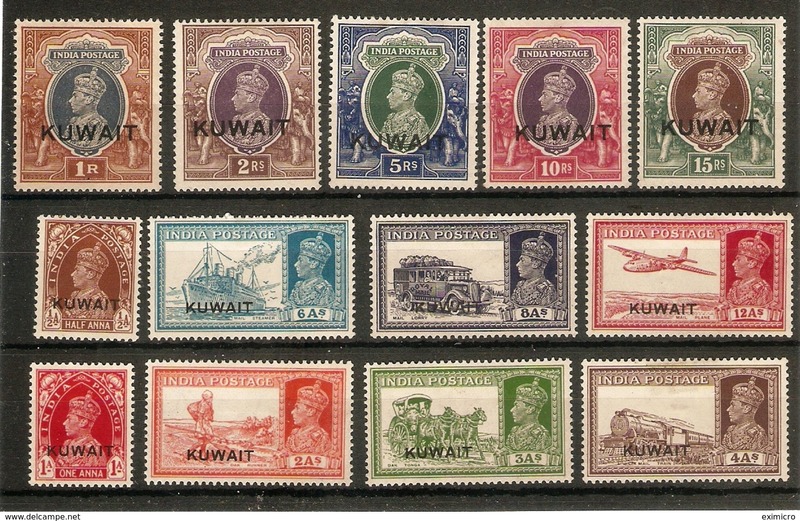 Kuwait 1970 Traffic Day unmounted mint. 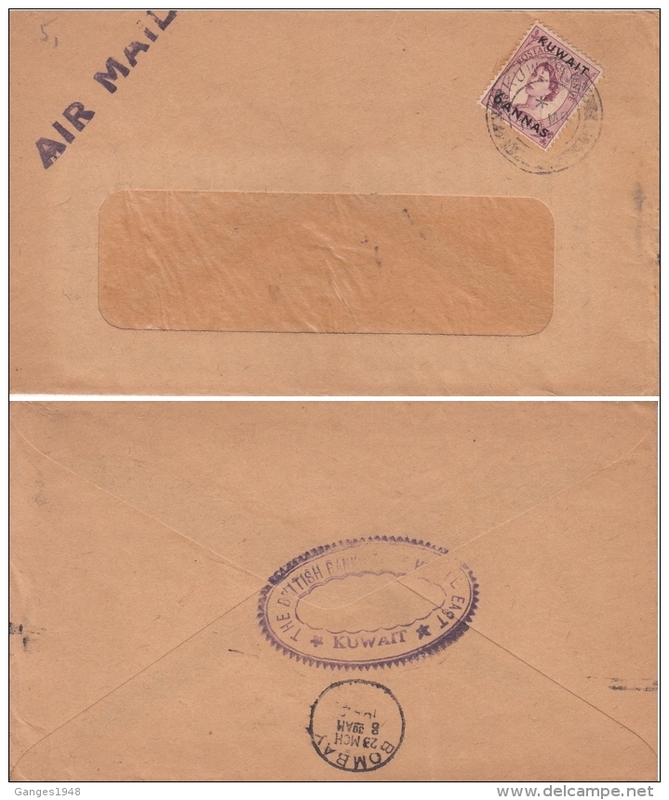 Kuwait 1970 Support for Palestinian Commandos unmounted mint. 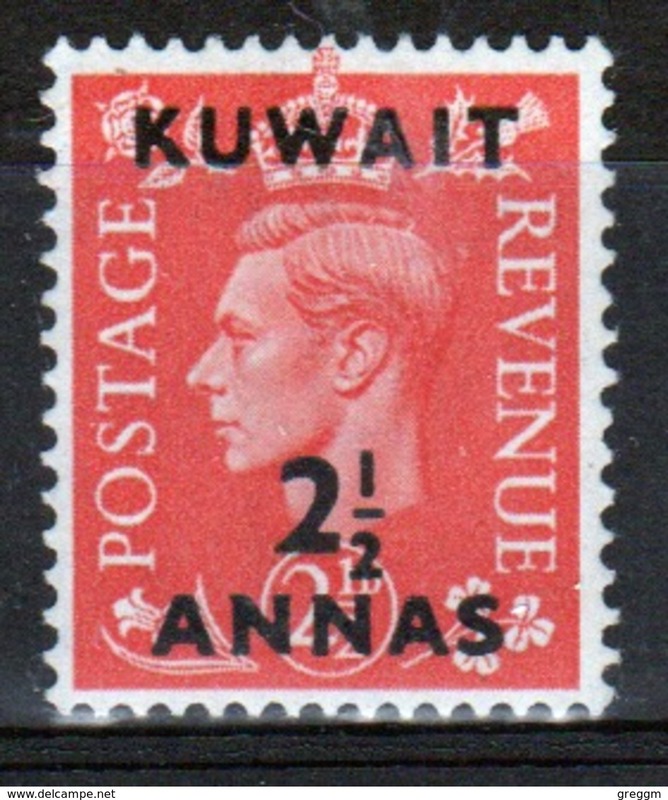 Kuwait 1970 Population Census unmounted mint. 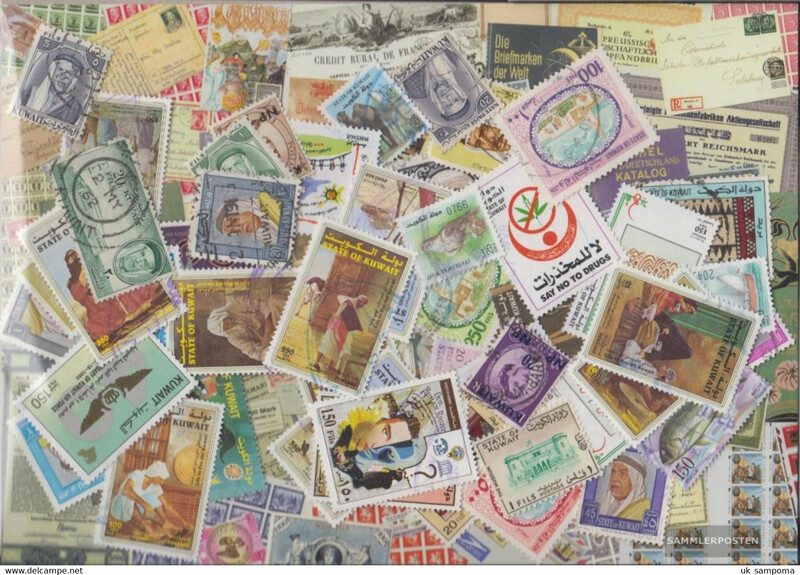 Kuwait 1970 International Literacy Day unmounted mint. 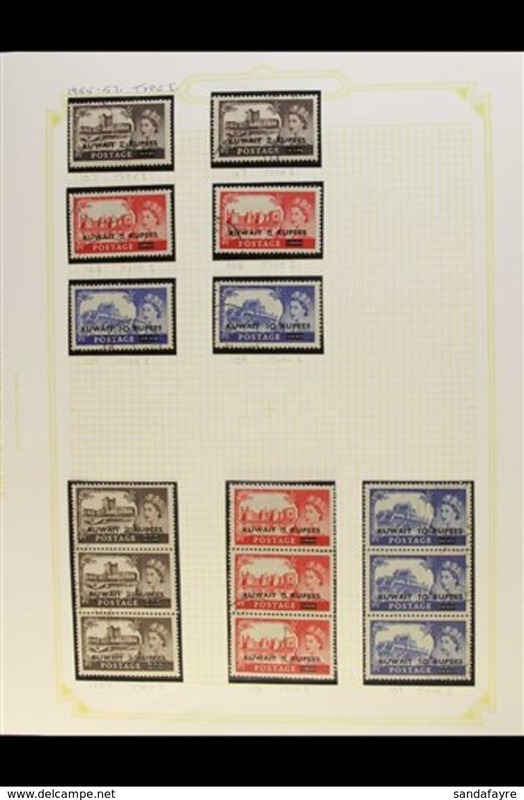 Kuwait 1970 First Graduation of National Guards unmounted mint. 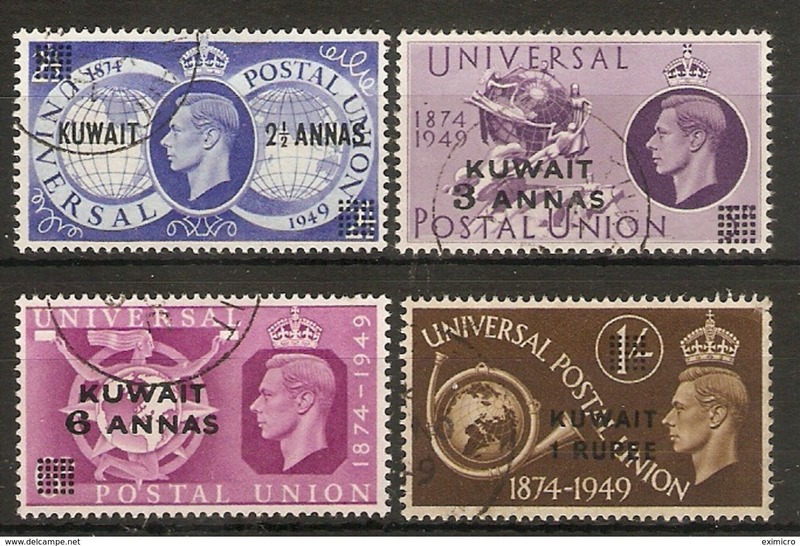 Kuwait 1969 United Nations Day unmounted mint. 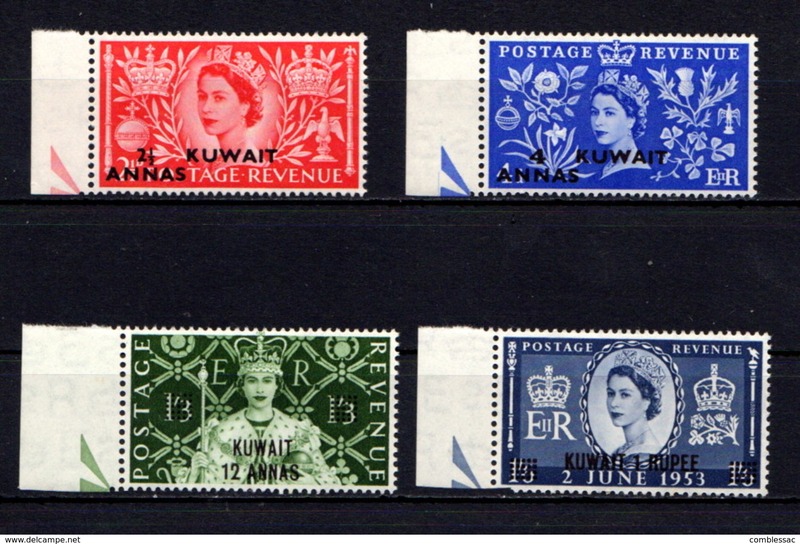 Kuwait 1969 Traffic Day unmounted mint. 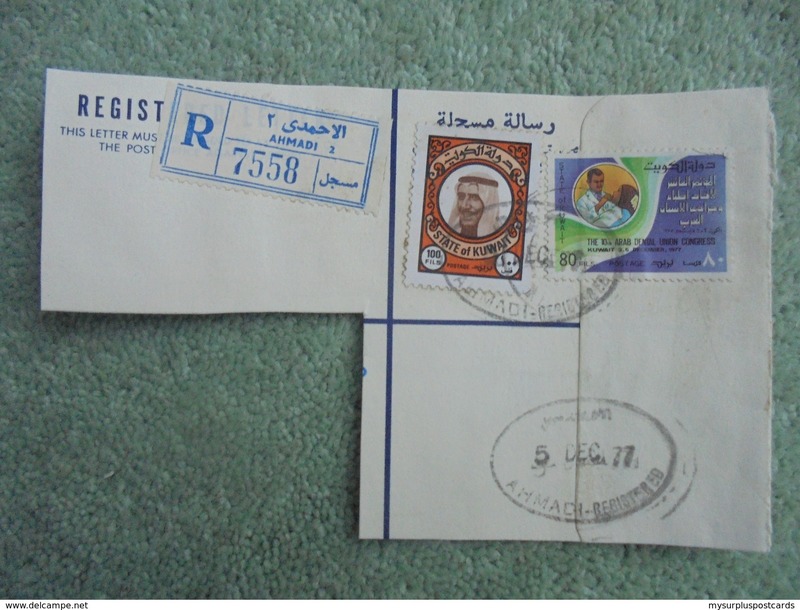 Kuwait 1969 Palestinian Refugee Week unmounted mint. 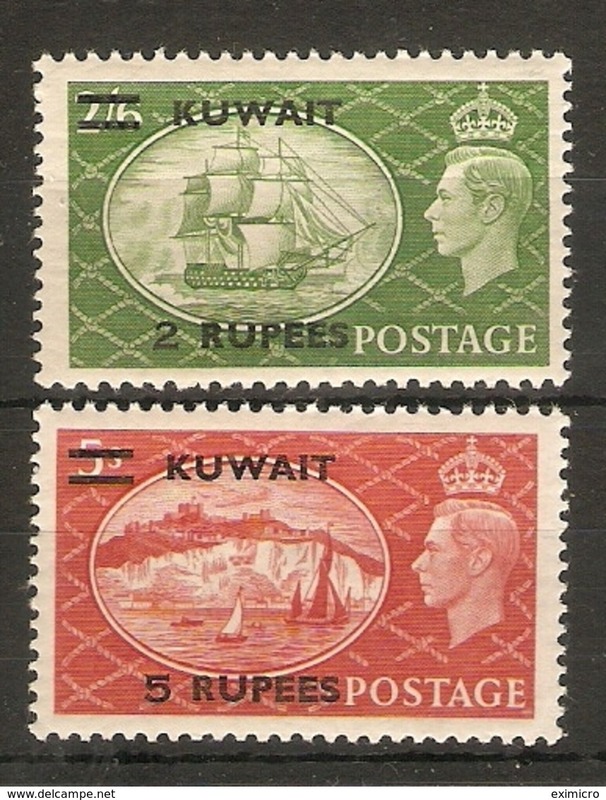 Kuwait 1969 4th Anniv of Kuwait Shipping Company unmounted mint. 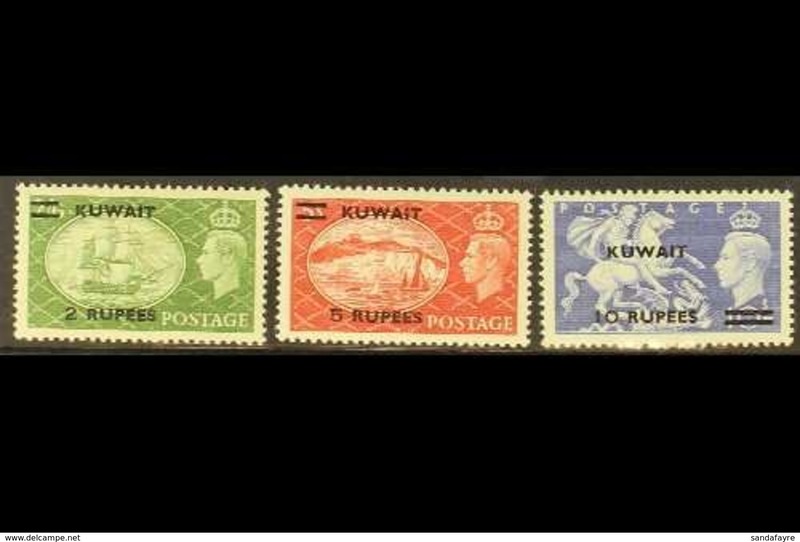 Kuwait 1967 Traffic Day unmounted mint. 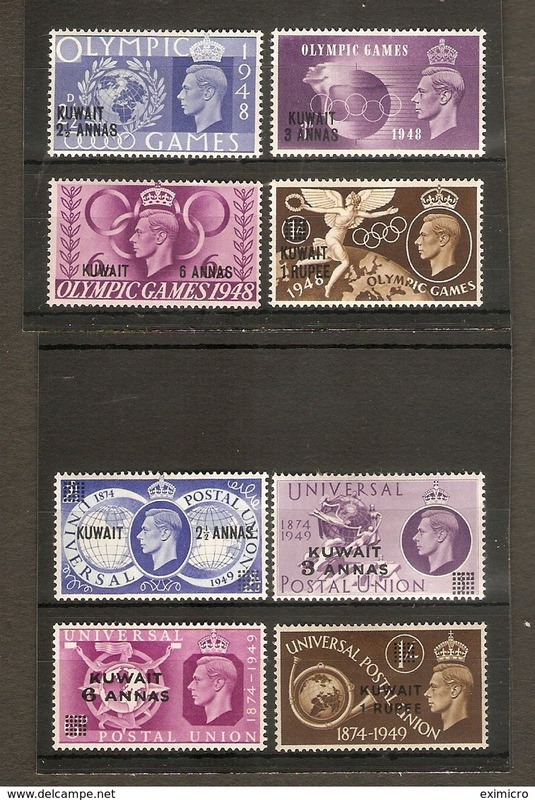 Kuwait 1967 Eliminate Illiteracy Campaign unmounted mint. 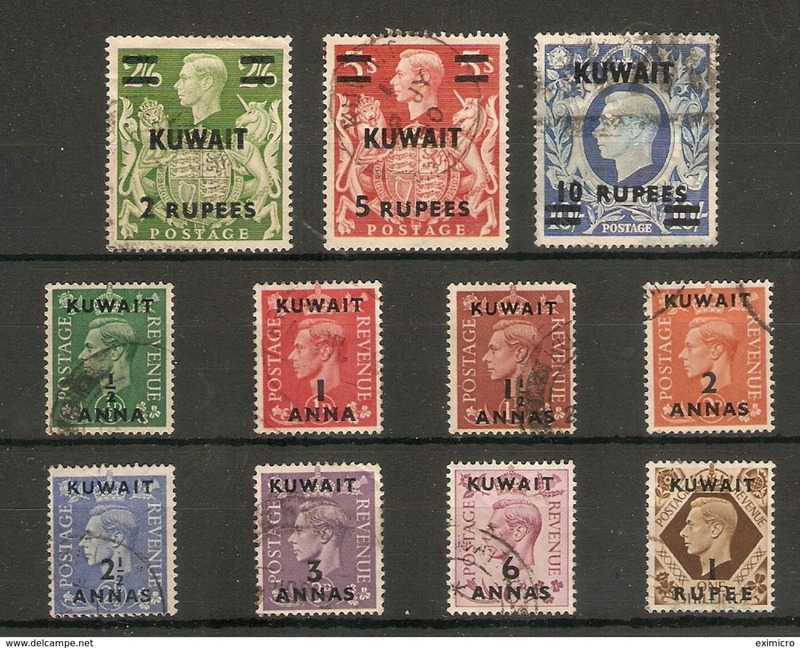 Kuwait 1967 3rd Arab Labour Ministers' Conference unmounted mint. 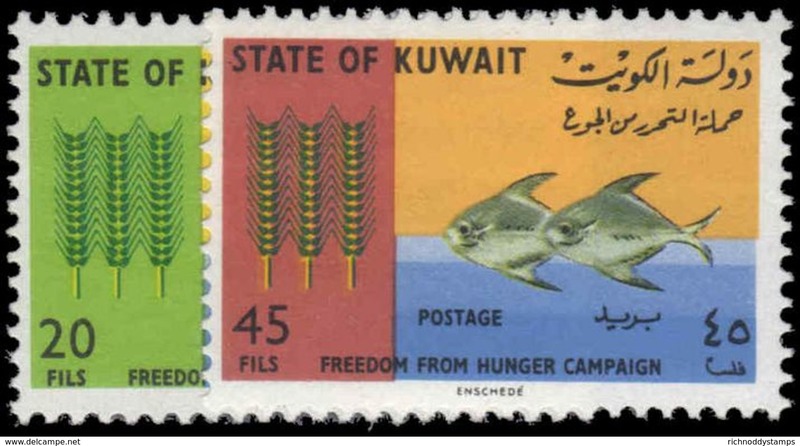 Kuwait 1966 Freedom from Hunger unmounted mint. 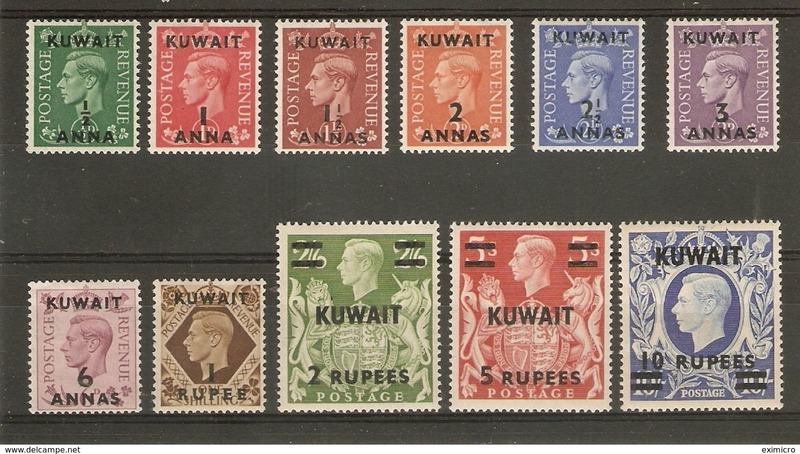 Kuwait 1964 Shaikh Abdullah set unmounted mint. 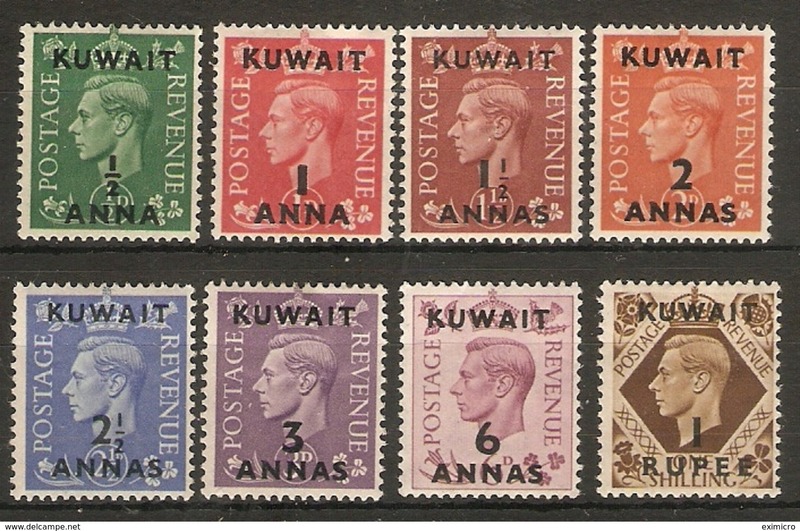 Kuwait 1963 Postage Due set unmounted mint. 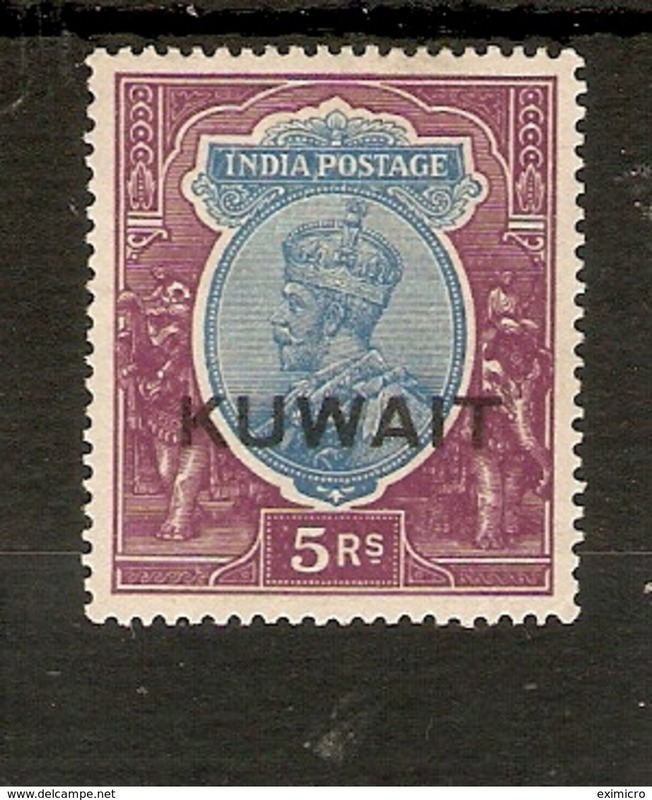 Kuwait 1950-54 10 rupee type II very fine used. 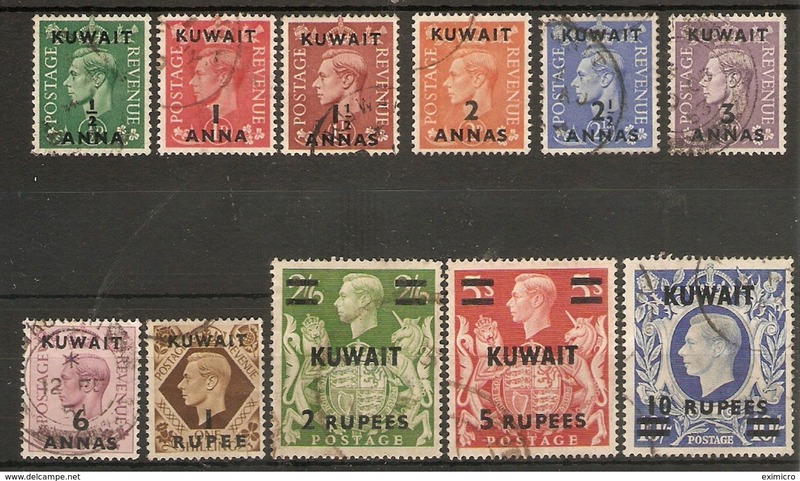 Kuwait 1948-49 2r on 2/6d fine mint lightly hinged. 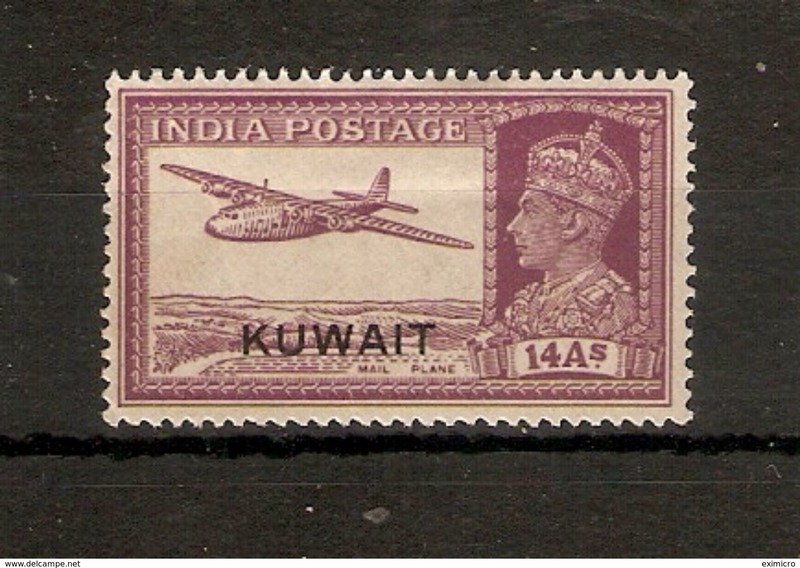 Kuwait 1948-49 10 rupee mint lightly hinged. 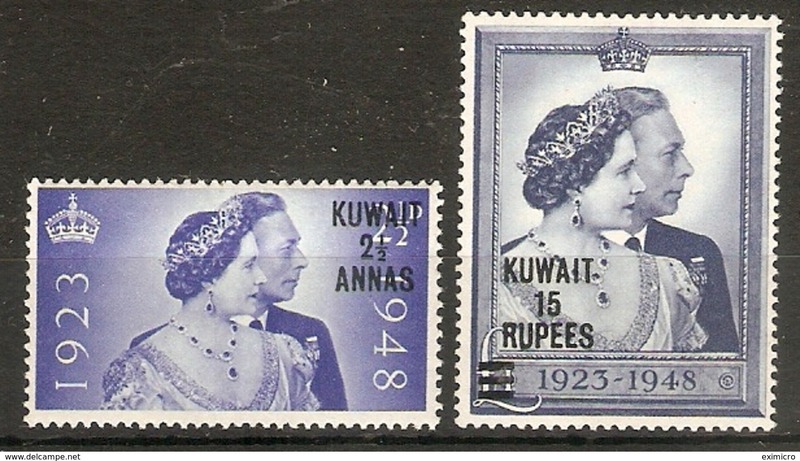 Kuwait 1948 Silver Jubilee set lightly mounted mint. 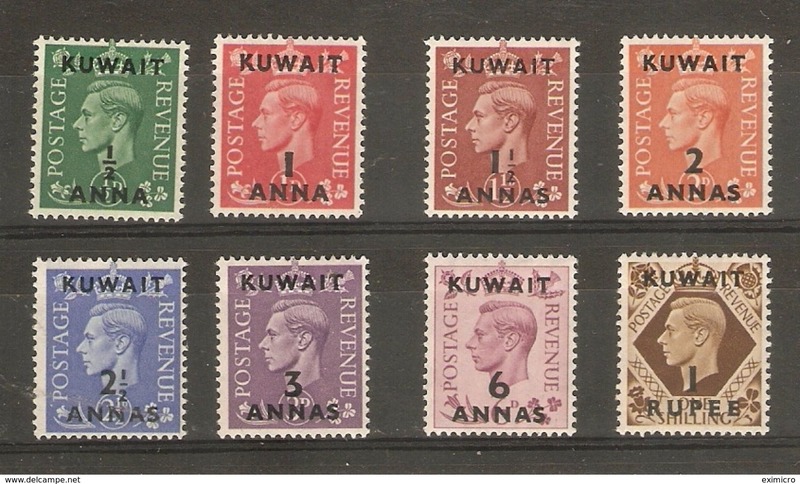 Kuwait 1929-37 ½a green fine mint hinged. 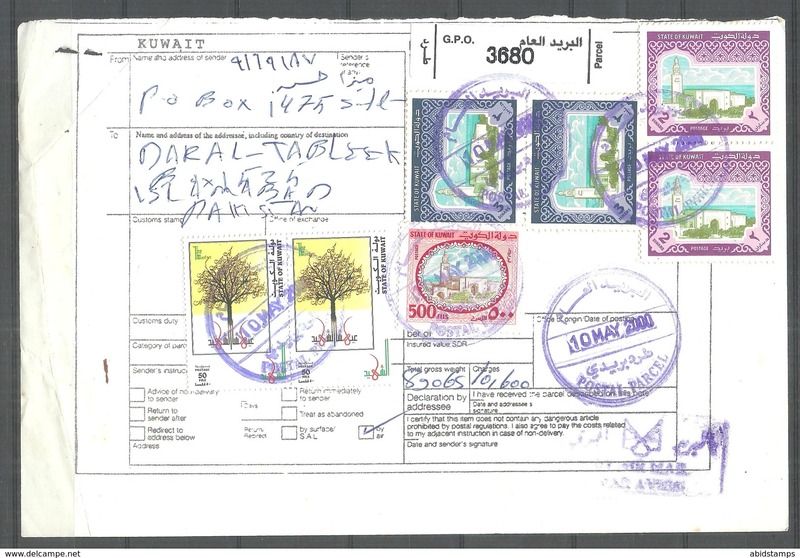 Kuwait. 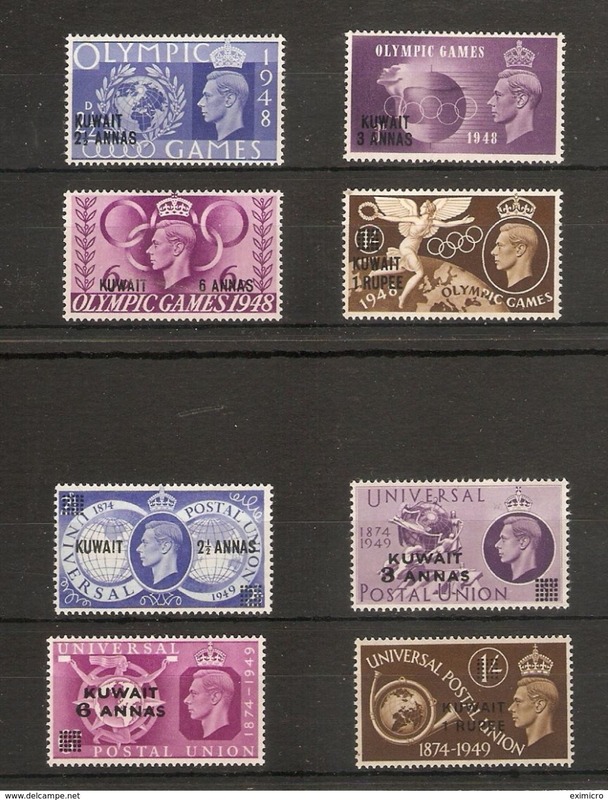 1959 (17 Oct) GPO - Denmark. 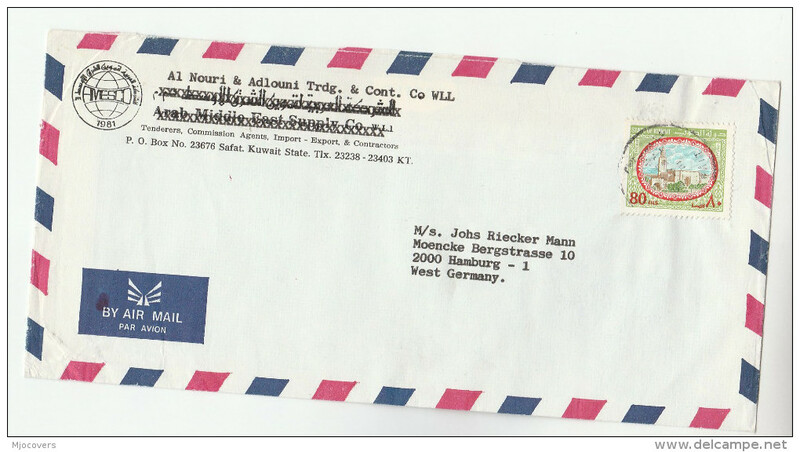 Air machine fkd env. 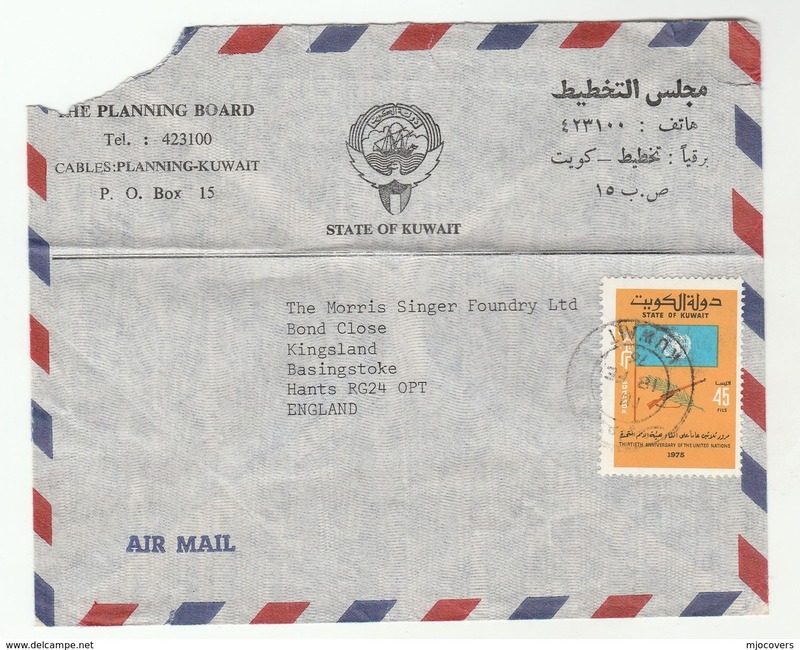 Kuwait oil Corporation. 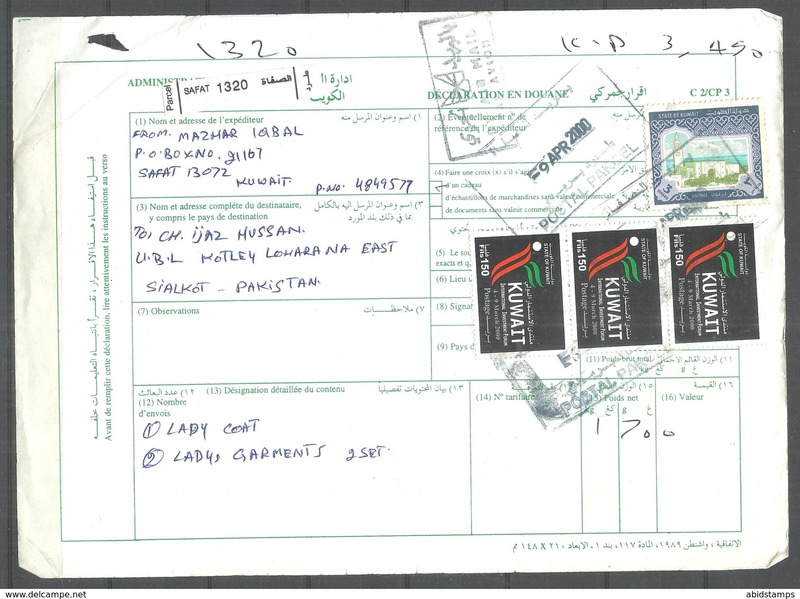 60 maye paise rate.